Here’s another interesting boat that I’ve noticed moored outside my flat a few times. 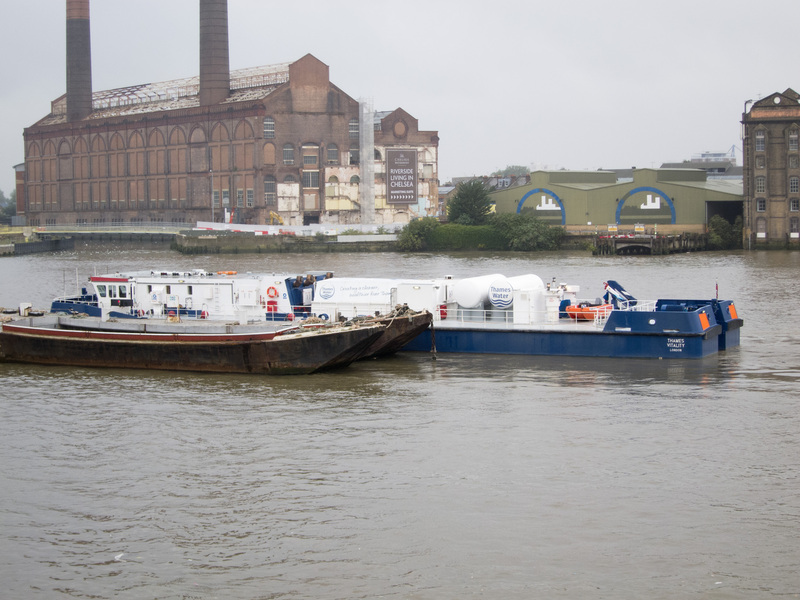 It’s the Thames Vitality, one of two oxygenation barges built for Thames Water by McTay Marine. The Thames’s oxygen levels can plummet after heavy rain when storm pipes overflow and these boats are used to replenish oxygen levels in the river. This process helps to prevent many fish deaths but the long term solution is to replace the old Victorian system with one that doesn’t allow sewage to drain into the river.